Case is hinged and covered in black faux shagreen, and lined internally. Lid is lined with padded silver silk and base has fitted recesses for the catheters and oil bottle, lined with dark blue velvet. 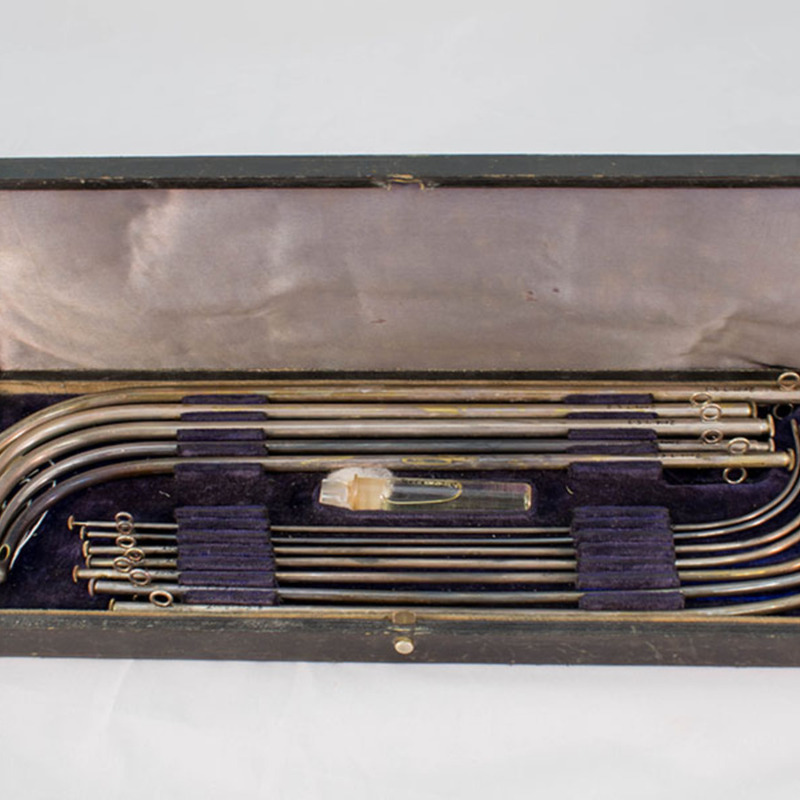 Catheters are silver-plated. 35cm in length, 12.6cm in width, 3.4cm in depth. 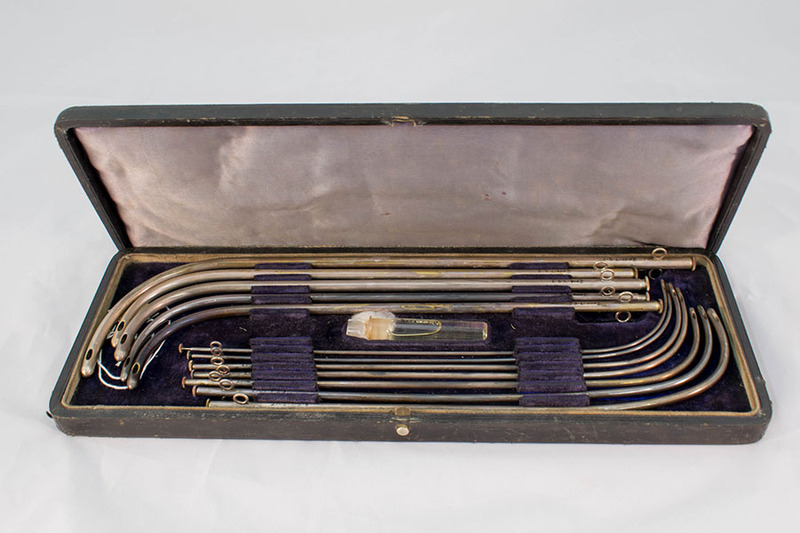 “Set of 12 Silver Catheters,” Heritage, accessed April 20, 2019, https://heritage.rcpsg.ac.uk/items/show/494. Description: Case is hinged and covered in black faux shagreen, and lined internally. Lid is lined with padded silver silk and base has fitted recesses for the catheters and oil bottle, lined with dark blue velvet. Catheters are silver-plated.